The film will open at the Metrograph Theater in New York City on July 22. The Terrence Malick-produced documentary “The Seventh Fire” offers a rare window into Native American gang and drug subculture. It follows gang leader Rob Brown who has been sentenced to prison for the fifth time and must confront his role in bringing a culture of violence and drugs into his northern Minnesota Indian community. As Rob reckons with mistakes and regrets, his 17-year-old protégé Kevin dreams of one day becoming the most powerful and feared gangster on the reservation. Watch an exclusive clip from the film below featuring Rob discuss the origin of his daughter’s name. The film is the directorial debut of Jack Pettibone Riccobono. It’s produced by acclaimed director Terrence Malick, who has previously directed such films like “Badlands,” “Days of Heaven,” “The Thin Red Line,” “The New World,” and “The Tree of Life.” His latest film “Knight of Cups” was released in theaters earlier this year. 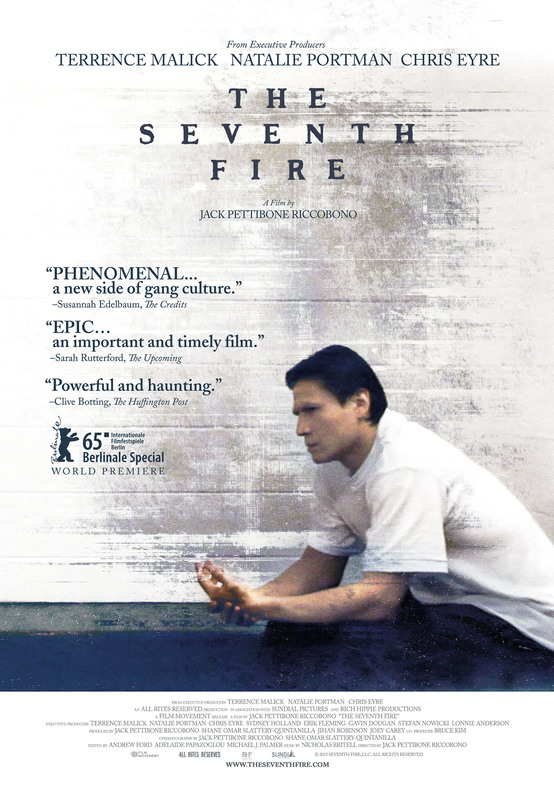 “The Seventh Fire” is also produced by Natalie Portman, who won an Oscar for her performance in “Black Swan,” and filmmaker Chris Eyre, whose films like “Smoke Signals” and “Skins” focus on contemporary Native American life. “The Seventh Fire” opens at the Metrograph Theater in New York City on July 22, before expanding to more cities in the following weeks. See the film’s poster below.